Passion for the art of shoemaking. Cabinet Bleu advised the Italian shoemaking brand on the development of their communication strategy. Our agency tailored various digital tools highlighting the brand’s values of tradition and innovation for its launch to the retailers. 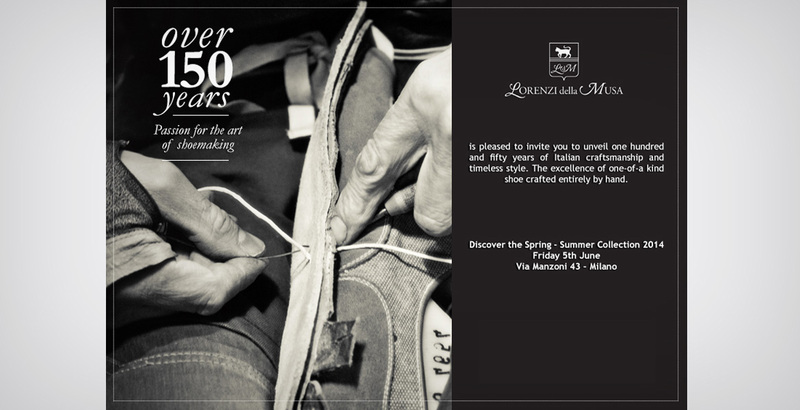 Lorenzi della Musa is an emergent brand with 150 years of Italian craftsmanship where tradition and innovation meet in the most authentic passion for the art of shoemaking. One-of-a kind shoe, crafted entirely by hand bespoke or ready to wear.